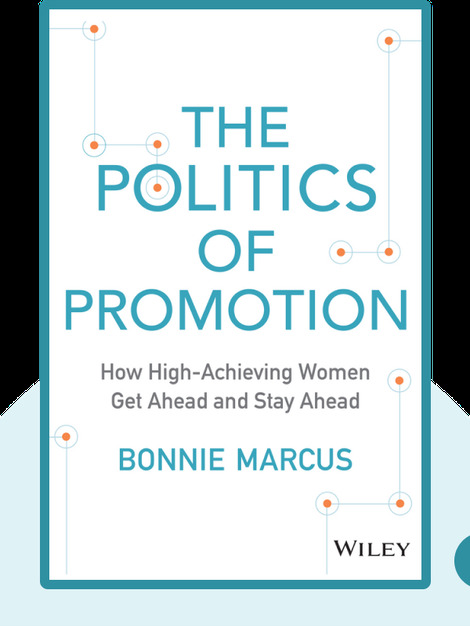 The Politics of Promotion (2015) offers insights into the ways women can prime themselves for promotion in any line of work. Filled with actionable tips and strategic career advice, it provides the political savvy you need to maneuver within the workplace and secure your next promotion. Bonnie Marcus has more than 20 years of management experience in executive positions in start-ups and Fortune 500 companies. She is the founder and president of Women’s Success Coaching, which is dedicated to assisting women in advancing their professional careers. 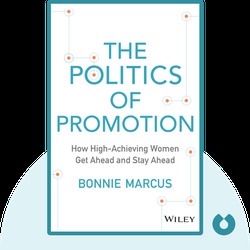 Bonnie Marcus: The Politics of Promotion copyright 2015, John Wiley & Sons Inc. Used by permission of John Wiley & Sons Inc. and shall not be made available to any unauthorized third parties.